with mirth, for you are heaven. not to be judged by fruitcakes lesser. until someone finishes you off. I’m still debating the name for this one. On one hand, “Original Sin” is easier to remember; on the other, everything sounds cooler when screamed angrily in German. In any case, it came to me last Christmas, after a spout of daft rage at the atrocity that the modern fruitcake has become. I’m pretty sure that they weren’t supposed to taste like hard candy soaked in rubbing alcohol. So the logical reaction? Improve it. 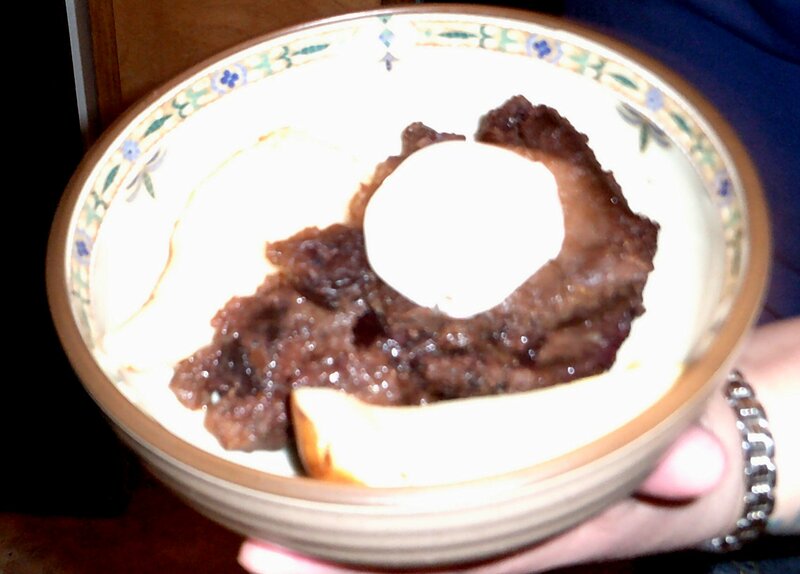 Best served with a little whipped cream and some sliced bosc pears. 24 hours covered like this. You want the rum to really dig its way into the fruit. This recipe takes commitment, it isn’t a quick fix. It shouldn’t take more than half an hour to prepare, and an hour to cook. For a proper fruit cake, you’ll want it to set in the rum for maybe two or three months, so have an additional recipe for brownies or something handy. (You don’t want everyone scarfing it down in an hour or two.) If not, allow it to cool with the final splash of rum for at least an hour. Additionally, the first step is to soak the fruit in the rum for about 24 hours. Quarter the figs, and combine them in a bowl with the blackberries and the cherries. A note: avoid the kind that you find in a jar in an evil-looking red liquid, the suspiciously glowing “maraschino cherries”. Look, nothing in nature is that color, unless it’s extraordinarily poisonous. Go for frozen or fresh cherries, and don’t hesitate to use frozen berries if you need to, this is going to be sitting in rum for some time anyway. Add your first quarter cup of rum, seal the bowl (which might just mean putting seran wrap over it), and leave it at room temperature overnight. Also note that the rum you choose will directly affect the flavor of the cake! I do not recommend anything too light, like Captain Morgan original, or anything too cheap. After a point I can hardly tell, I level off around Myers’ Dark Rum. You might do the same if your taste in alcohol parallels mine, or maybe something else if you consider yourself a connoisseur, or a hobo. In any case, definitely use a dark rum. For most, an electric mixer is preferable. Me? I have to go and do it the manly way, with my bulging biceps. In a large bowl, cream together the butter and the sugar. 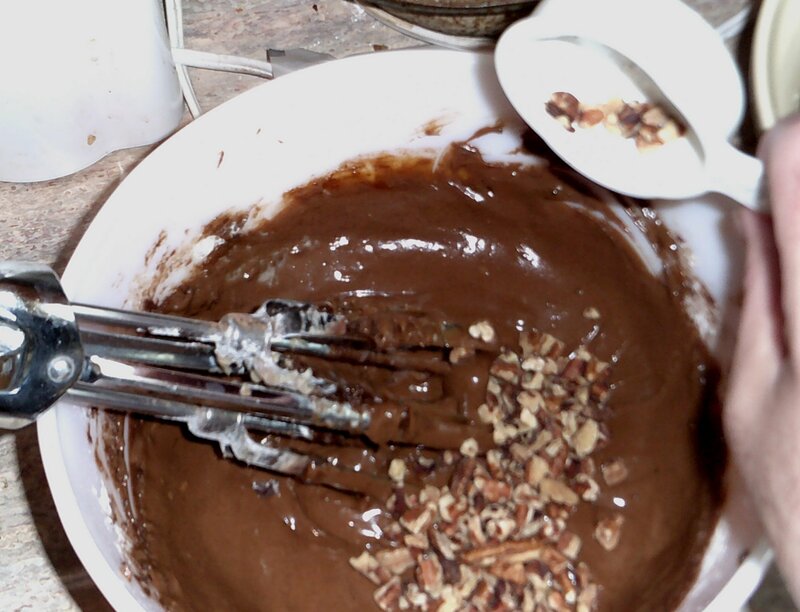 Gradually add cocoa, egg, baking soda, flour, salt, and cinnamon; alternate with condensed milk, milk, and molasses. The material might stick to the beaters early on, don’t worry; after you add the liquid ingredients it will gradually shave itself off of them. Add walnuts, and stir in fruit mixture. Note that there is a layer of waxed paper that you can’t see. This prevents the cake from sticking to the pan, which makes it much easier to remove. Grease a large baking pan (bundt preferable, I went and used my classic ceramics) and line with parchment paper or aluminum foil. The parchment paper (wax paper) is extremely important when inverting the cake without damaging it. Pour the batter into your baking pan and you’re ready to go. Bake 45-55 minutes. After it’s out, let it cool to room temperature. Again, this isn’t the kind of recipe that you can rush. Once it is cool, run a butter knife along the edges to loosen the cake and invert it over a plastic container. Patiently allow it to slip out; you may be able to aid the process by flexing the edges of your bundt pan but for most of us it’s just a matter of giving it some time. Pour that last splash of rum over it, seal it so that it’s airtight, and refrigerate. Refrigerate for quite a while; this is that two-three month part. If it’s in the fridge for more than three months, add another quarter cup of rum to preserve it. Enjoy at Christmas. The other day, I made a mistake, a bad thing, that led to an idea, which ended up being a good thing. There is no innovation without adventure, and what better way to adventure in a kitchen than by messing around with the established ingredients? 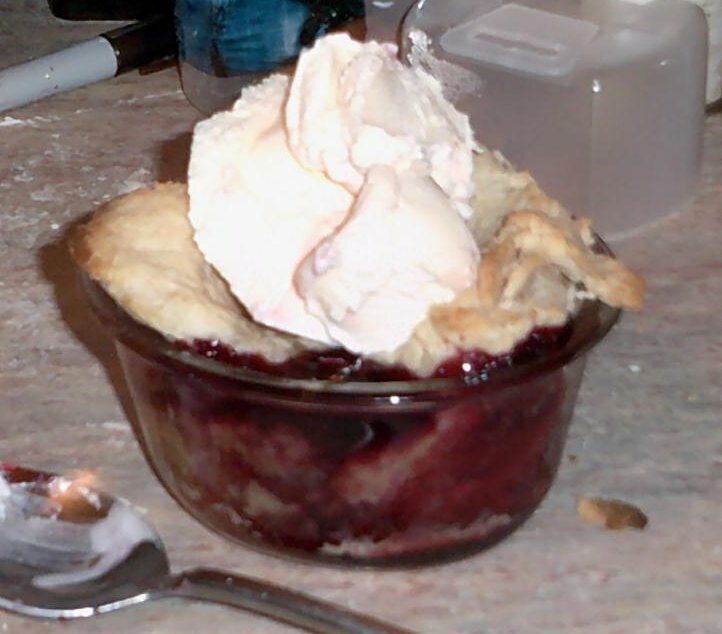 It began as a recipe for cherry turnovers, which unfortunately bled through the otherwise well-fluted seam and smoked up my kitchen; but the resulting flavor had a sharp and original kind of sweetness to it. I combined it with notes from an older original from years ago, using blackberries instead, and came up with this wonder. It has an accent to its taste not different from a sweeter form of licorice root, and is surprisingly filling without any foul notes of bleached white sugar in it. I’m hoping to return to this after consulting with my sister, to create a gluten-free version (it seems to be prime for it). Serves four to eight, depending on how much of an appetite your guests have saved. Note the pricks along the bottom. If air or grease evaporates and expands beneath the pastry while it cooks, it can contort it. The ventillation prevents that. This pastry dough is derived from one of my favorite pastry recipes, but as any experienced baker knows, there’s more to a good pastry than simply its recipe. If you have a feel for pastry making, feel free to experiment; I intend to return to this after some meditation on it. It’s hard to find anything that this Cajun dough is not good with, but I feel that maybe I can improve on it, even further, in the future. I’ll put up a detailed explanation at some point, but for now, there is a wonderful video tutorial at the link if you are curious. Simply combine flour and salt; pastry-cut in butter until granular and homogeneously distributed, shaped kind of like small marbles. Gradually add milk and fold mixture until combined. Wrap into ball, cover in plastic wrap, refrigerate for at least one hour. Grease four 10 oz. custard cups (or if unavailable, muffin tins). Heck, even cupcake tins will do if you’re willing to work with much smaller quantities of material per pastry, but it might be a little difficult to separate afterward. (Custard cups are cheap.) I recommend using a little bacon grease or coconut oil, though butter and lard are acceptable in a pinch. 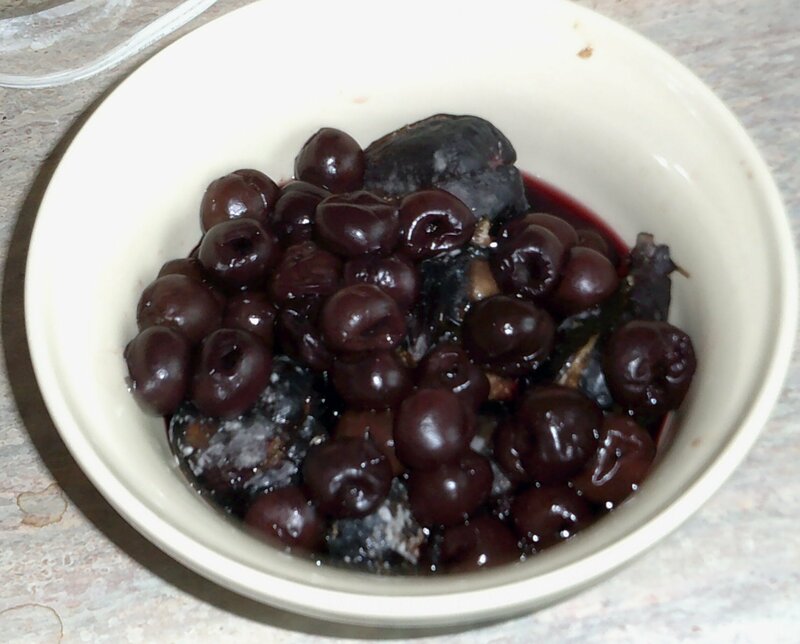 Failing that, canola or vegetable oil will also work, but I don’t recommend olive in this instance. Cut dough into quarters, roll out into four square sheets with a rolling pin and pastry board, and place dough in custard cups. Fold ends of dough over the side, push the center against the bottom (did you remember to grease the cup??). Ventilate the bottom of the pastry with a fork, to prevent deformation in the oven. Combine everything before stirring it together, spices last. Grind the anise stars until you only have coarse chunks of petals left, no need to overdo it. The flavor will seep out on the stove. 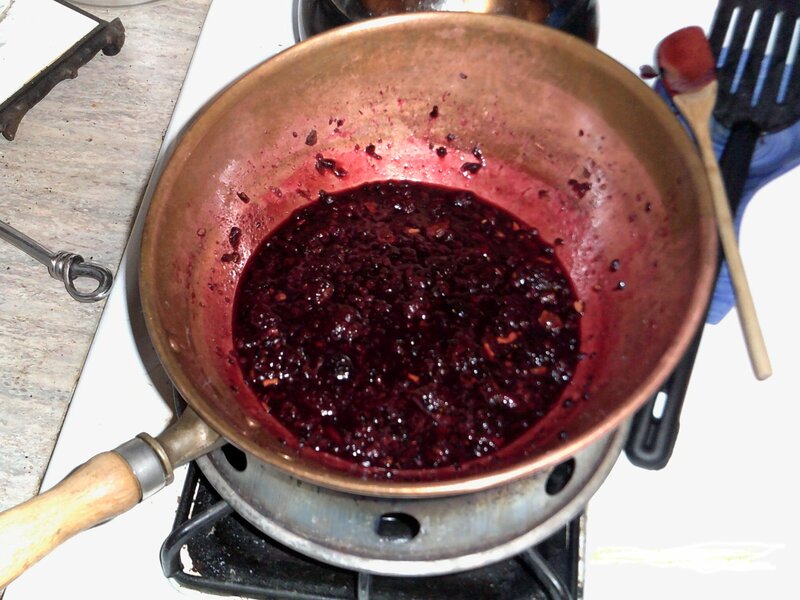 Add spices to blackberry mixture, pour into pot or wok and heat, on low, stirring periodically to prevent separation of honey. (If you don’t have the patience or attention for this, find someone who does to help—smoked honey has its uses but this isn’t one of them.) 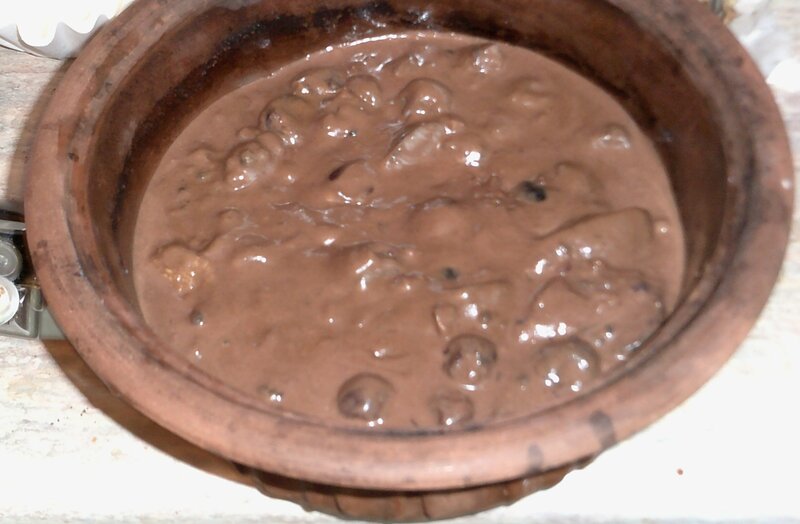 Mixture should begin to bubble slightly before being removed from heat. 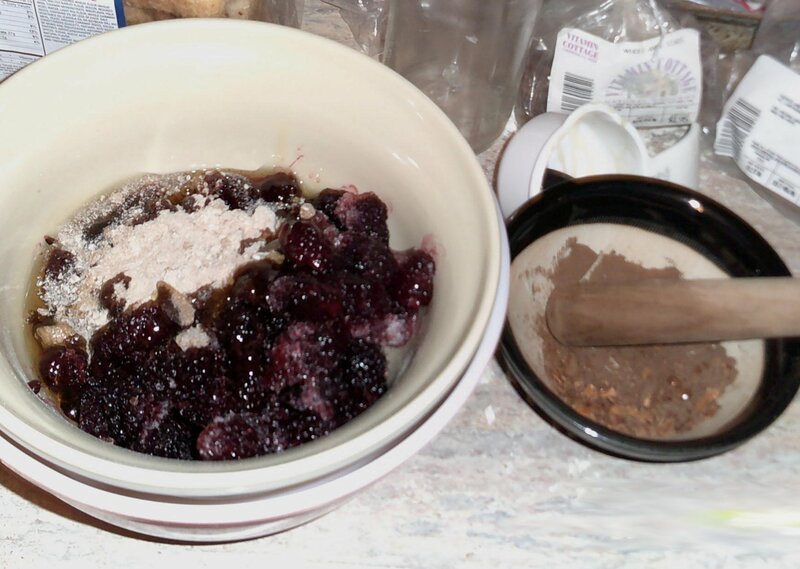 Using a ladle, pour blackberry mixture evenly into dough cups. 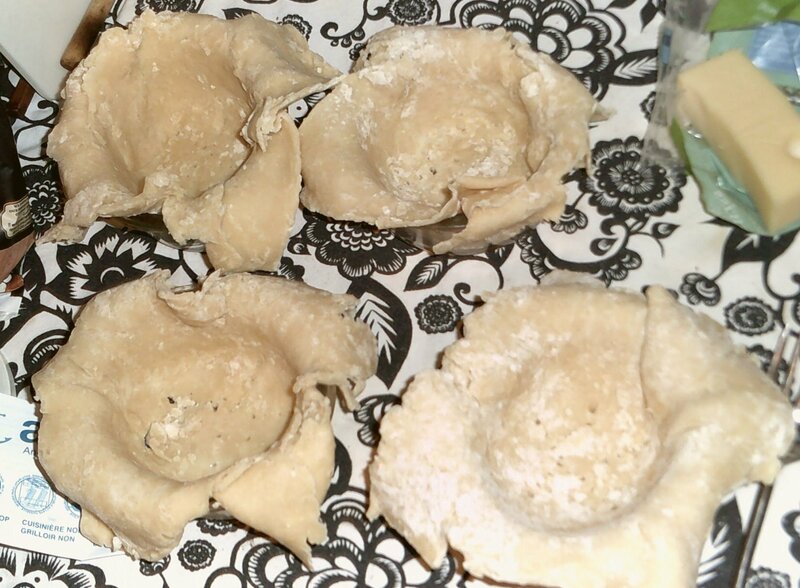 Fold hanging edges of dough over the cups. Stir periodically to keep the honey from sinking to the bottom. Heating it creates a more unified filling, you will find that the flavor changes dramatically. I recommend against trying anything clever like sealing them at the seam. Kudos to you if you accomplish it, but the dough will be slick from the blackberry juice and reluctant to seal; all you are likely to end up making is a mess. You will find that the corners hang fashionably in place over top when left alone, and after a short while in the oven they seem to seal on their own. It’s acceptable for the edges to simply hang over the top like this, they will recline and partially seal as they bake. Serve in the custard cups, best with a scoop of vanilla ice cream. 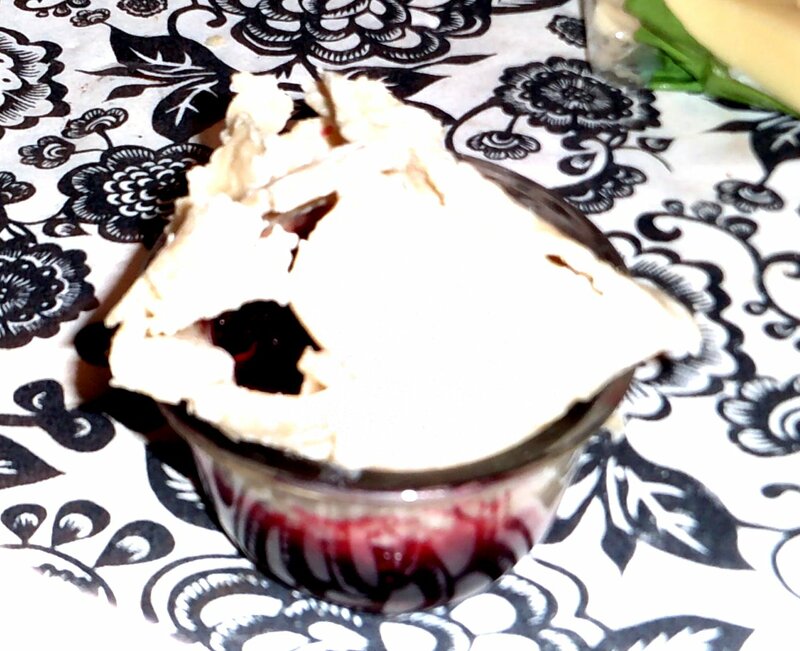 (The juice seeps through the bottom of the pastry and goes everywhere, and who wants to waste good blackberry juice?) Enjoy! The only difference is that Bedrock’s roads are safer. Santa Fe has a lot in common with Bedrock. It’s almost entirely made out of stone (or stucco). However, New Mexico is in a major burn zone, suffering from a serious drought and covered in forests that are wallpapered with dead and dried wood. Not a great combination, particularly when local heat flux is prone to cause power lines to snap. We now have two major fires, one on each side of us, both caused by faulty power lines in the worst place at the worst time. The Jemez Mountains fire has grown to 9,400 acres as of today, with only fifteen percent of it contained. On the other end, the Tres Lagunas fire, just north of Pecos, has grown to 9,000 acres with fifteen percent containment. That’s over 18,000 acres on fire, all around us. While the largely flame retardant nature of the buildings in this town provide some comfort, they can catch fire, and more over, there is the risk associated with smoke inhalation. You can always smell a fire before you can see it. I remember on Sunday I felt sick to my stomach, the slow poisoning of the previous forty eight hours holistically reaching into my body and throwing wrenches in my gear works. Sweat, an upset stomach, a mild headache, muscle aches and pains, some dizziness. You don’t think about how it can accumulate with time. The smoke had been around since Friday, and little by little I had been breathing it in. It didn’t feel that different from a rapid-onset flu, but I had seen it before. This is hardly the first time that a major fire has crept uncomfortably close to my mascot city. Back in 2011, Los Alamos caught fire, and the flames crept so close to Santa Fe that you could see them on the mountainside. That’s maybe ten miles away, with forest fires travelling at up to sixty miles an hour. I wasn’t here at the time, but my sister was and I believe the town was being evacuated. I thought of this the other day, when I got on board a public bus and looked out my window; I couldn’t smell the smoke, but I could see it, a distinctly black cloud rising up over the horizon. It turned the sun into a forty Watt blood stain, dim enough for me to painlessly look straight at during the whole ride home. Radiance and daylight everywhere else, but the sun itself, nothing; I desperately wished I had a camera with me at the time. Naturally I had to wonder if I might be packing a bag and evacuating Santa Fe soon. Not that this would entirely be a bad thing; there are a few people in this town, whom I can think of specifically, that have something like this coming. I’m not saying that they’re all like this, but I can think of several land owners that seem to be convinced that they are above the law, legal and natural, and have the business ethics of used car dealers on crystal meth. Above: Archetypical Santa Fe landlord. I’m reminded of the year that I spent in New York during my brief hiatus from Santa Fe. That was 2012. There were issues with power transportation out there, namely that the proper funding was not going to the power company for line maintenance and they were cutting corners to compensate. When the leaves were down, I had a clear line of sight from my place in the hills to Manhattan, right across the Hudson River. All the same, I can think of no less than twice in a six month space that the power was out for several days. The changing weather patterns didn’t help, as New York is entirely unprepared for actual hurricanes. When the uncut tree limbs began to fall, the lines split, and it was country life all over again. I wonder if it’s a similar issue that is allowing so much dry timber to accumulate in New Mexico. In the mean while, I continue to work my morning accounting job, write, and program. I’m ready to leave if I have to, and even if the fire does sweep this part of town I’ve got most of my important files backed up online. I’ve been building a software vocoder for the first time; not for the weak of spirit or the arithmophobic, especially the ones that have a problem with calculus. It would honestly be a lot easier if I could just use some basic analog bandpass filters, but then it wouldn’t be software. The chronicle of this adventure may be a satisfactory topic for a future post. Unless of course it gets burnt down in its entirety, but I’ll keep my fingers crossed. I just rolled across an excellent analysis of the state of the modern storyline. Permit me to share it with you.